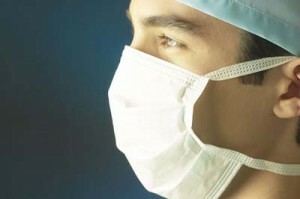 CMS is requiring ambulatory surgery centers to begin using a safe surgery checklist effective on January 1, 2012. 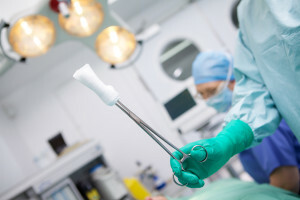 According to CMS, a sound surgery safety checklist could minimize the most common and avoidable risks endangering the lives and well-being of surgical patients. The of the CMS requirement is to assess whether ASCs are using a safe surgery checklist that covers effective preoperative communication and helps ensure that safe practices are being performed at three critical perioperative periods: prior to administration of anesthesia, prior to incision, and prior to the patient leaving the operating room. CMS believes that effective communication and the use of safe surgical practices during surgical procedures will significantly reduce preventable surgical deaths and complications. CMS view is supported in a November 2010 New England Journal of Medicine study that concluded that surgical complications were reduced by one-third, and mortality by nearly half, when a safe surgery checklist was used. CMS does not mandate a specific form of safe surgery checklist. However, CMS points to the the World Health Organization Surgical Safety Checklist, which was adopted by The World Federation of Societies of Anesthesiologists as an international standard of practice. This checklist can be found at: Safe Surgery Checklist from W.H.O. The Affordable Care Act required the Secretary to develop measures appropriate for the measurement of the quality of care (including medication errors) furnished by ASCs. According to CMS, the safe surgery checklist measure assesses the adoption of a best practice for surgical care that is broadly accepted and in widespread use among affected parties. Data collection relative to compliance with the safe surgery checklist requirement will begin on July 1, 2013 and end on August 15, 2013. ASCs will be required to certify that they used a safe surgery checklist for the entire time period from January 1, 2012 through December 31, 2012. The information foon compliance will be collected via an online Web-based tool that will be made available to ASCs via the QualityNet Web site. ASCs should mark their calendars for January 1, 2012 which is the date that CMS requires the use of Safe Surgery Checklists to begin. Beginning in July of 2013, ambulatory surgery centers will be required to certify that they used a safe surgery checklist throughout calendar year 2012. The safe surgery checklist covers three key preoperative stages. The three stages include (1) the period prior to anesthesia and sedation being administered, (2) the period prior to incision, and (3) the period prior to the patient leaving the operating or procedure room. The certification will need to be made by ASCs within a 45 day window period between July 1, 2013 and August 15, 2013. CMS will be providing a web-based mechanism that providers can use to certify their compliance with the safe surgery list requirement. 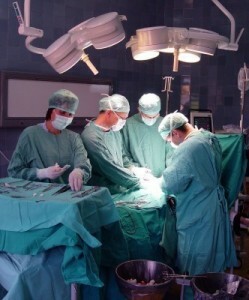 More and more procedures are being performed in Ambulatory Surgical Centers. The CMS has recently expanded the procedures that it considers to be safely performed in an ASC. Clearly, the trend is to move many procedures to an outpatient facility unless the health care needs of the patient clearly require an inpatient presence. One of the primary sources of capital for these new ASC ventures is often the physicians who are involved in performing procedures in the ASC or sending business to the ASC. 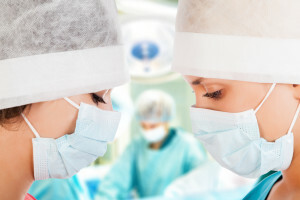 From a purely business point of view, it makes sense to have investors who have a direct financial interest in seeing that the business succeeds, However, from the point of view of the party paying for the care, this same financial interest can lead to an increased and arguably unnecessary levels of procedures performed in the facility. The Medicare and Medicaid program, and many states, have enacted the Anti-kickback Statutes and other anti-referral laws that prohibit, or at least limit, the financial interests that a referring provider can have with an organization where there is any control over the referral flow to that entity. This is where the Federal Anti-kickback Statute comes into play by prohibiting the payment of any form of remuneration between parties where referrals are involved. The federal Anti-Kickback Statute proscribes the offering, payment, solicitation or receipt of any remuneration in exchange for a patient referral or referral of other business for which payment may be made by any Federal health care program. Violations of the Anti-Kickback Statute is a federal felony and can result in substantial prison time and criminal monetary penalties. Violation of the Anti-Kickback Statute can also serve as a basis for imposition of Civil Monetary Penalties. Enforcement of the Federal Anti-kickback Statute has been on the rise since the mid-1980s. Today, the federal government has made health care fraud one of its top priorities. We are hearing about new prosecutions on an almost daily basis as the government ramps up its enforcement through the creation of the HEAT program. 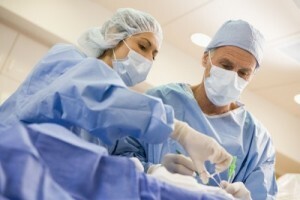 When we look at a typical Ambulatory Surgical Center venture, the primary concern is when the physicians who make referrals to the entity and provide services in the entity receive remuneration from the entity, This normally will involve remuneration in the form of a return on an investment interest. The referring physician may purchase an ownership or investment interest in the company that is set up to operate the ASC. The ASC can be set up with capital contributions from a number of physicians or it may involve a hospital sponsored ASC that seeks additional capital investment from physicians. Regardless of the exact structure, the Anti-kickback Statute will come into play to govern the structure and ongoing operation of the ASC. The ASC venture must be structured from the start to comply with the Anti-Kickback Statute. It must also be monitored on an ongoing basis to assure that it does not fall out of compliance with the Anti-Kickback Statute.